Happy Valentine’s Day! I hope it’s a good day and people are celebrating love. 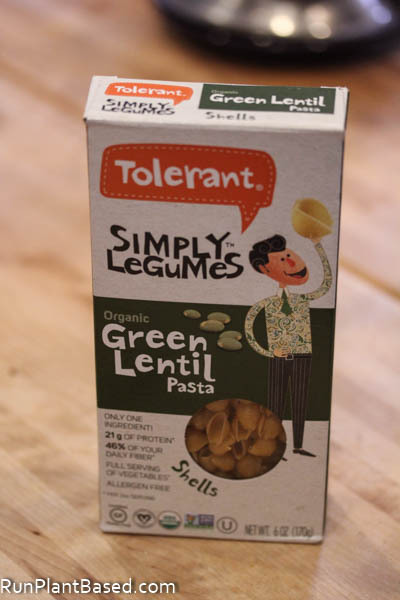 I am celebrating protein with this recipe using a fun grocery find – Tolerant Simply Legumes Organic Green Lentil Pasta. We’re having lots of fun trying alternative, high protein pasta lately and at 21 grams of protein per serving, this pasta has you covered! 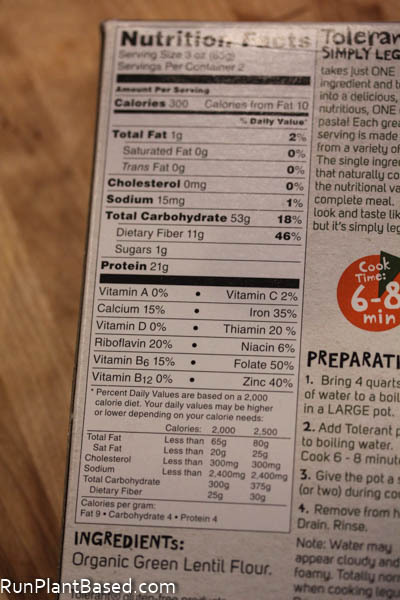 And I love the simple ingredient list. 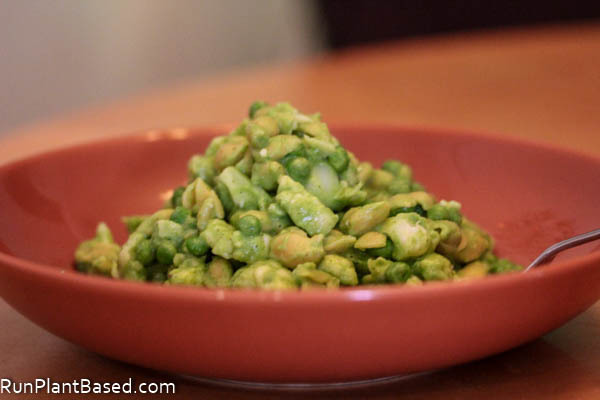 It easily serves as a fun, main protein dish and inspired this creamy, avocado-based kale pesto to go with it. 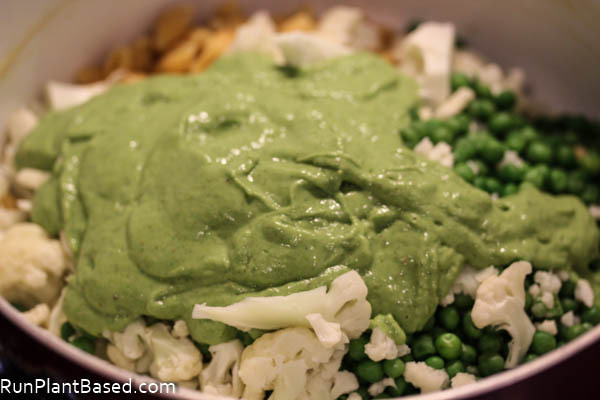 I mixed steamed cauliflower and peas into the pasta dish to make it more hearty since the pasta box only has 2 servings in it and wow, the pesto turned out very creamy and thick. And coats the veggies and pasta with a kicky and creamy garlic flavor. It’s simple to whip up in the blender and this kale-based pesto turns pasta and veggies into a creamy comfort food. 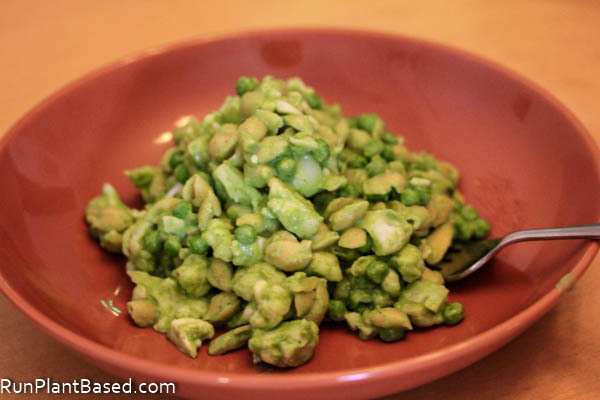 I love pesto so I’ll definitely have to try this recipe out! Yes, the texture was great for being lentil based, not too chewy and easier to digest – I was impressed too. Yes, can never go wrong!